I have read The Madness of Mr. Darcy twice and can truly say this is one of the most different storylines I’ve read in P&P fan fiction. 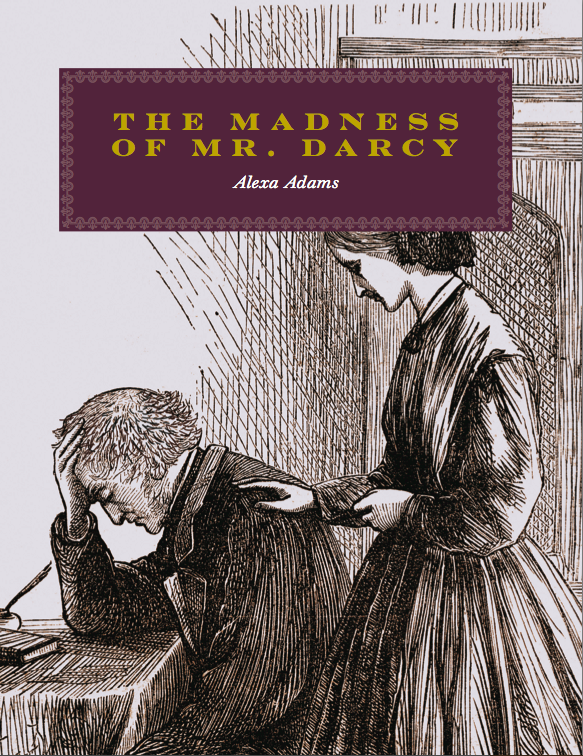 What if Mr. Darcy was unable to locate Lydia, and Wickham told him she had been sold to work as a prostitute? What if Lydia were to return to Longbourn, months later, completely mad and in need to be institutionalised? And what if Mr. Darcy and Elizabeth only met 20 years after the Lambton Inn episode? Would they still love each other? The Madness of Mr. Darcy follows this path and it is the first book I’ve read starting the story so late in our beloved characters lives. Their lives during these 2 decades makes the anguish in this book so big, the sadness surrounding all characters so intense that I would not believe the book would be this good if I had not read it. Georgina dies shortly after getting married and Darcy isolates himself from the world, living a life of guilt and sorrow. Elizabeth lives a life full of sacrifice and is employed in a mad house. Jane marries, and after her husband dies, has no other option but to live out of her sister in law’s charity. Even Wickham has a terrible faith. Among all this sadness, the intensity the author was able to bring to this book was unbelievable. It takes a long time before we actually see Elizabeth and Mr. Darcy have any interaction with one another, but unlike other books, this didn’t bother me. I really wanted to read how their lives had been, and what were their feelings and thoughts. Even though Elizabeth and Mr. Darcy do not interact with one another in the first chapters of the book, I just wanted to keep reading to see when some of these characters were finally going to find some happiness. And they do, don’t think this book is only about sadness. It’s not! It’s about never giving up hope, never stop fighting and being faithful to your feelings. The love Elizabeth has and shows for Mr. Darcy in this book is one of the most beautiful I’ve read. Their interactions are special and meaningful. And other characters from other Jane Austen’s books such as Maria Rushworth, Lady Elliot, and Mr. John Knightley are a delightful addition to the book. The only thing I wasn’t too fond of was the ending. I understand it is the only possible ending for this book, but it does make me sad to know that Pemberley will no longer belong to a Darcy. But overall, I really enjoyed reading it, so much I’ve done it twice. I really enjoyed this review and the twists in the story seem very exciting! This story sounds like it’s full of angst. Normally I avoid stories that are full of sadness but I was happy that you mention that there is some happiness and hope. I have yet to read this one but would love to do so.